The evil warrior Skeletor desires to conquer Castle Grayskull in order to rule of ever Eternia and the rest of the known universe. 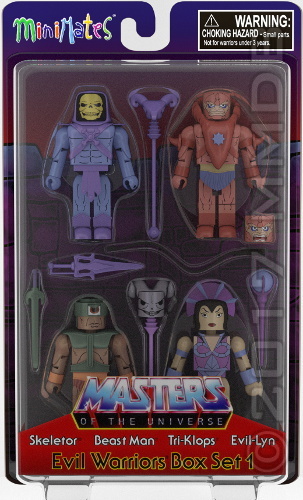 In his isolated fortress, Snake Mountain, he formulates devious plans with his cohorts Evil-Lyn, Beast Man, and Tri-Klops. They end up foiling Skeletor's plans almost as often as He-Man.